was making a few “newer” dishes for my friends to try out at a 9pax homecooked lunch yesterday on 9.3.2015.
one dish was chilli crab pasta, a dish i tried once before. looking at the date 7.3.2013, it was 2 years back! i also did “crabless” beehoon & the “hong lim FC curry chicken noodles”. my family & i are not so crazy about crabs & i don’t buy & cook crabs (i may try later). the idea here is to use prawns stock to deliver the shellfish broth taste w/o using crabs. since i was also trying about my crab beehoon (or “crabless” beehoon) on my friends & making the prawn head & shell stock, so i might as well do this chilli crab dish as well. i decided to use some leftover angel hair. it fit the dish quite perfectly. my friends all loved the dish. one commented this was actually the more creative dish. Yes, I like this dish. 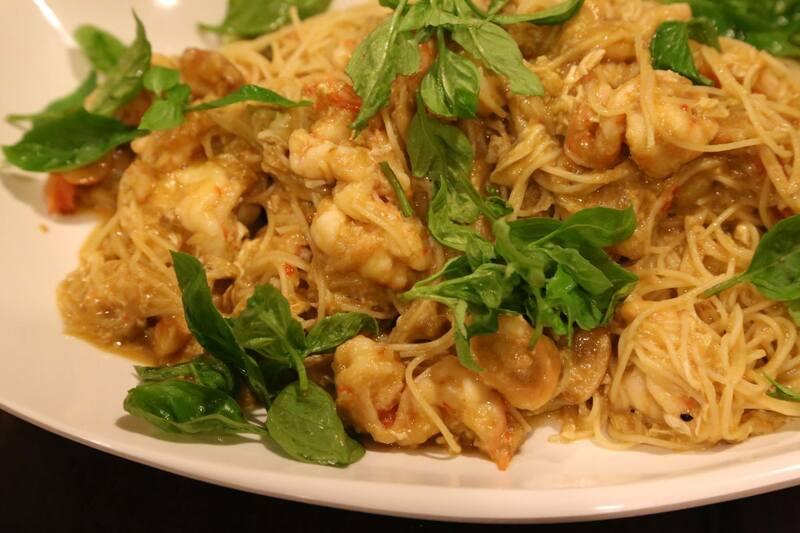 The angel hair pasta is well infused with the tasty seafood broth. well, only just because it is so-called “fusion” dish, but so many places in singapore (restaurants & cafes) now do this dish, it is nothing special. also, it was a very easy dish to do c/w the “crabless” beehoon & the “hong lim FC curry chicken noodles”. the main thing was the sauce, which i repeated from the recipe i did on 7.3.2013 (below). only thing i added 6 chopped shallots (instead of 4), 3 ketchup (instead of 4) & 2 chilli padi (instead of 1), & i ran out of shaoxing wine so i added 1 tbsp xo brandy. 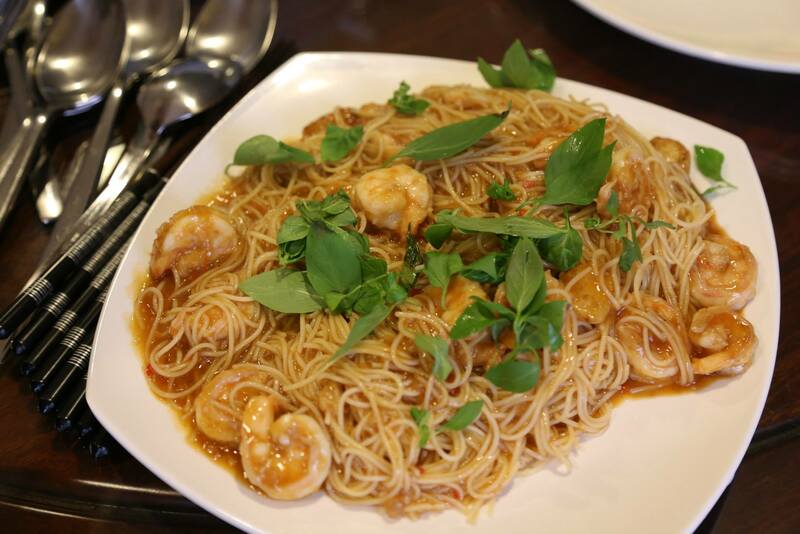 This entry was posted in Recipes and tagged angel hair, chilli crab pasta, crab beehoon, curry chicken noodles, fusion, hong lim FC. Bookmark the permalink.